In winter, men’s wearing focus would all put on keeping warm. In order to have good warmth retention property, they generally rely on thickness degree of mens winter coats. However, it may be a little difficult for the majority of men if you want to show cool and handsome figure and make you look not over awkward and plump. If you haven’t any matching and wearing experiences, you can surely get references and benefits from below. This parka coat is designed to against fierce wind and snow. In most men’s eyes, they may have not so close connections with formal suits. One is the casual sporty style and another is formal wearing. However, we have seen the cool and handsome mix style by wearing a piece of additional gray knitted scarves and a pair of outdoor short boots. Not everyone can show the fashion looking by wearing long woolen coats. Since the color tone is neutral, therefore, matching with neutral colors is the safest choice for you. 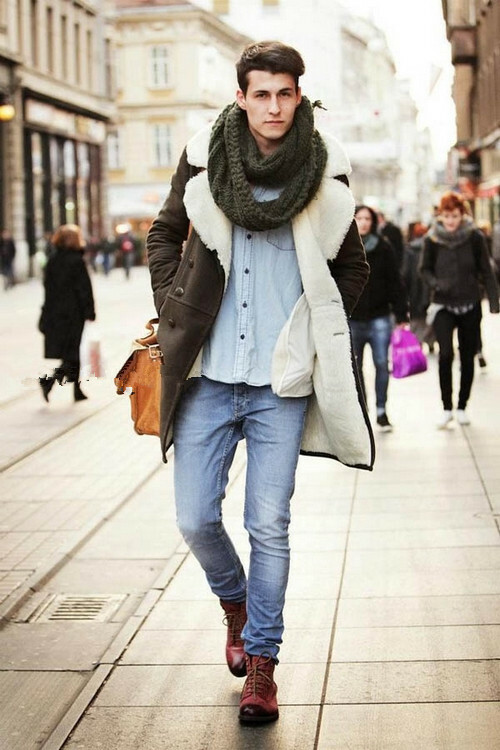 Army green scarves, denim shirts and denim jeans can make you whole impression look more energetic and vivid. When wearing down jackets, you should control clothes within three pieces since the plump appearance is not easy to control. 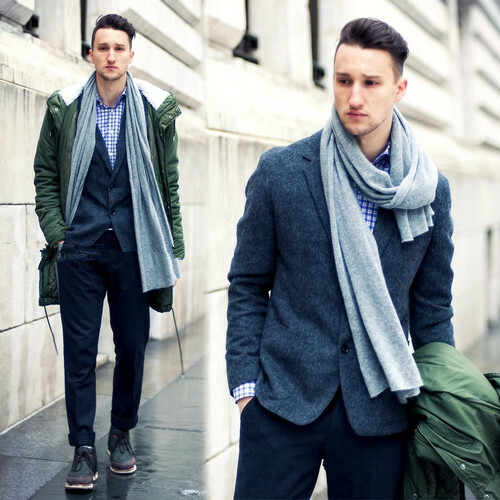 Individual gray printed sweater coats matched with V-neck long shirts show you the mature looking in masculinity. 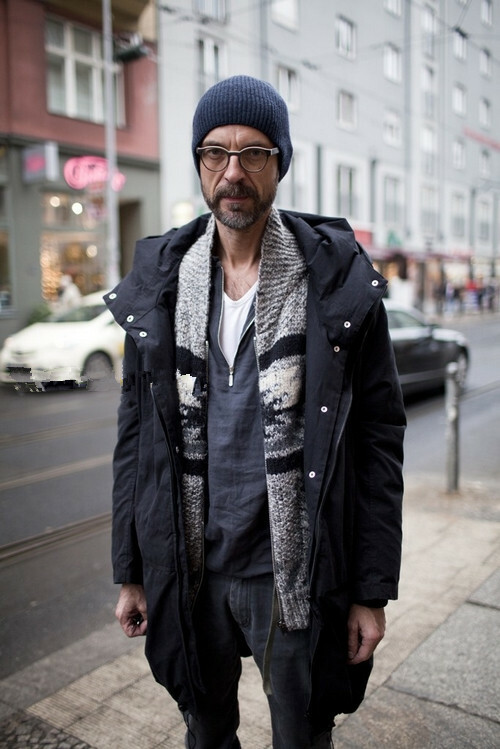 A knitted gray cap can also show you the fashion sense. As for cotton-padded coat, it is very suitable for men to wear in daily life. In order not to be looked over mature, you can choose a black knitted sweater and a tie in red and black. It can surely make you look relaxed and vivid with extra preppy style. Fur coats are also not easy for you to wear. 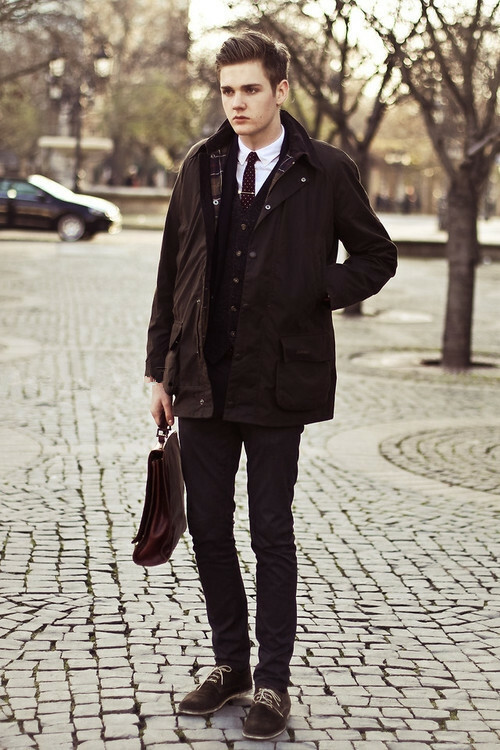 Changing a personal and unique sweater, a pair of youthful and vivid green leather shoes can reduce the old feeling. Cute socks can make this pair of green leather shoes look more eye-catching. If you want to show business feeling by cotton jackets, cool and slim fit type is more suitable for you. In the meanwhile, a scarf can show your gentlemen demeanor. Watch and business handbag can make you look even professional.